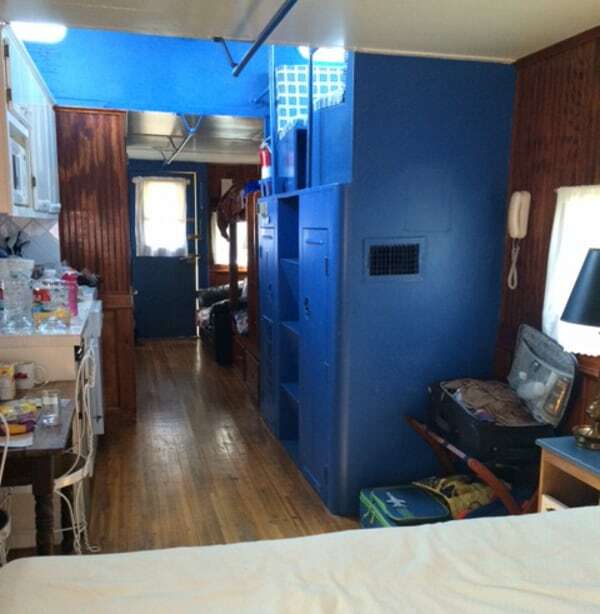 How about a weekend away where you can sleep in a real train caboose? This is Juliette. My husband, my 7-year-old and I usually review kid-friendly restaurants in Houston but we are branching out today. 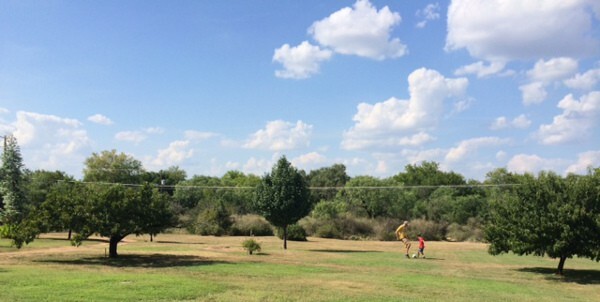 We spent a few days on a family vacation at The Antlers in Kingsland, west of Austin just north of Marble Falls. 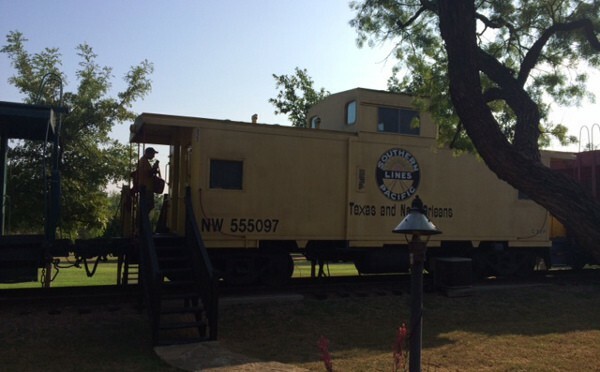 It is right along LBJ lake and the best thing is you can sleep in a caboose! Oh yeah, it is as special to adults as to kids! We booked the yellow one and our son loved it. On the drive there, all he wanted was to go sleep in the caboose! The hotel includes a collection of homes on a few acres of woods. It dates back to 1901 where it was a railroad resort. We had reserved a real caboose on real train tracks and it is attached to two others. Inside, it is surprisingly comfortable and spacious. There is a love seat, a bunk bed ( fitted with Thomas the Train sleeping bags) a well-equipped kitchen (including a dishwasher! ), a queen size bed and a cupola, a little nook with 2 seats! It was where the man working in the caboose would go to look out over the caboose. My son loved climbing the steps and sit and watch the woods or the sky. Outside your caboose, you have a gas grill and a picnic table. As much as you enjoy the inside of your caboose, there is plenty of fun outside: just a huge expanse of grass to run around and play fun games and the lake. 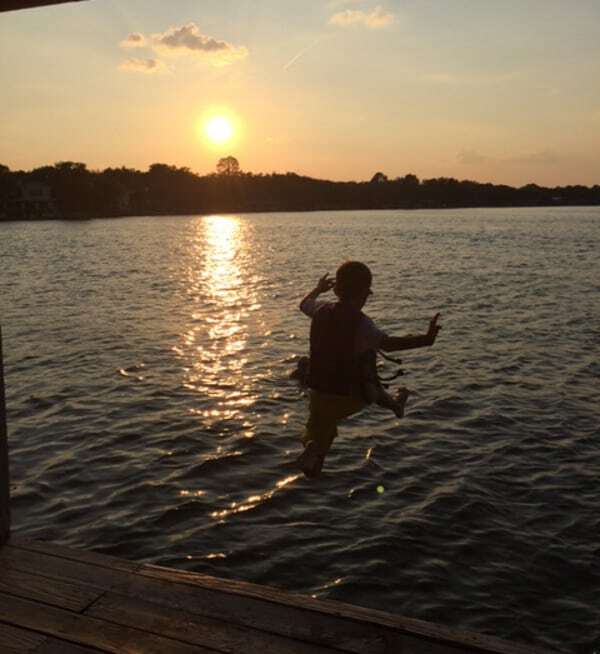 My son spent hours jumping off one of their three docks. There is a canoe and a row boat you can borrow as you please and lots of life jackets for everyone. After all the swimming, we had a nice dinner outside our caboose and watched a deer and her fawns eat right in front of us and then we even saw a gray fox just walking around. It was amazing and a unique experience that we will remember for ever. The next day, we drove for about one hour to Enchanted Rock at Enchanted Rock State Park. It was our first time climbing this huge granite rock for all of us and we really enjoyed the experience. We went early in the morning because it gets quite hot up there and the climb was just strenuous enough to make it an adventure but with good shoes and water, it was a good trek. Please, check their website for more information. After all this walking, the lake was just a perfect way to cool off. 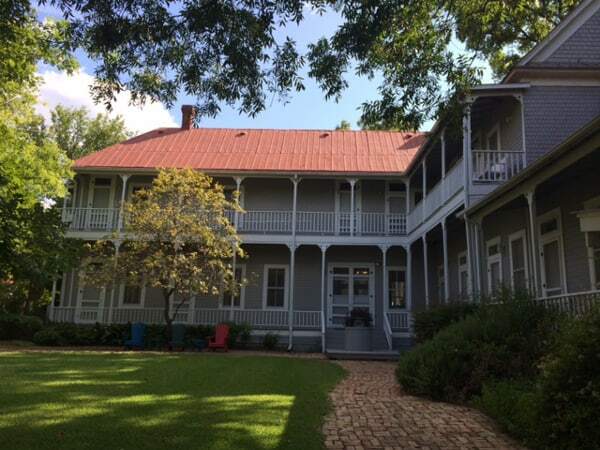 The Antlers offers southern hospitality and if a caboose is not your cup of tea, you could sleep in one of their bedrooms in the main house or just rent one of their really cute cottages. And if you really want to splurge, try the main coach. It is even bigger than a caboose. One of the houses is a cafe/restaurant that serves breakfast, lunch and dinner from Wednesday through Saturday. Houstonia Magazine: BigKidSmallCity's Top Small Park Picks! BMX: A Sport for the Whole Family. If your kids can walk, they can race.